Hello Babbling and More readers! My name is Alecia, I blog over at ChickenScratchNY.com about crafting and life surrounded by livestock, and did I mention I got married September 29th? 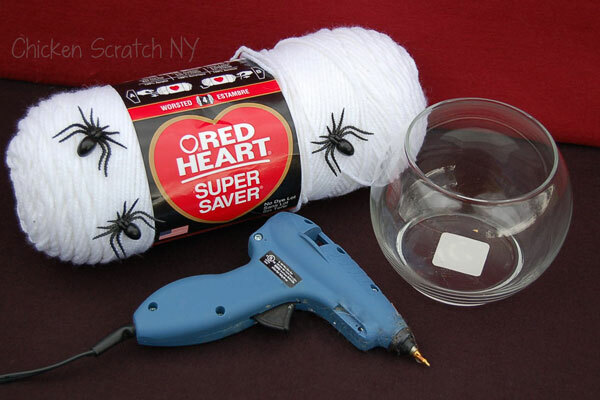 I love to decorate for the holidays and Halloween has always been my favorite!I've shared several spider projects, from the very large lawn spiderwebs with giant spider warning signs to the smaller embroidery hoop web art and hot glue spiderwebs. Like most of my crafts today's project is quick and simple. Personally, I think it's pretty too! You probably have most of the supplies on hand, if not everything is easy to find. 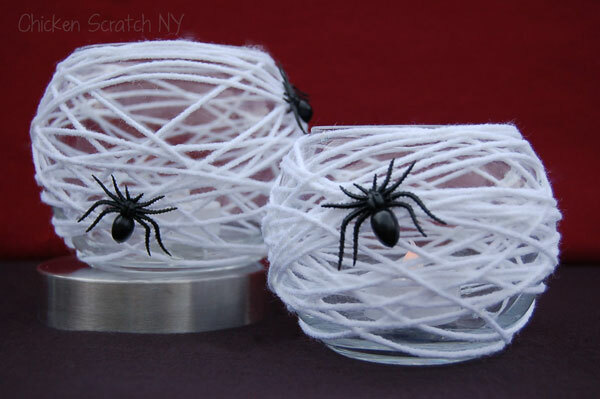 You will need: a glass vase (mine are from the dollar store), white yarn, hot glue gun and small fake spiders. Tie a small knot in the end of the yarn, clip off the end and hot glue to the knot to the vase. You might want to use a pencil to push the yarn into the glue without burning your self. Keep gluing and wrapping, eventually the yarn will stick to itself and you won't need to glue every 4 inches. When you are finished stick the yarn in a blog of glue and once it's hardened clip of the rest of the yarn. Finish up by gluing on a few spiders. 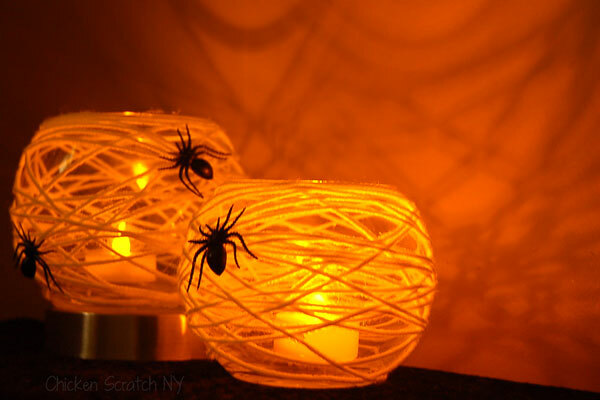 Add a fake tealight and you're good to go with a creepy spider votive holder! They leave pretty cool shadows on the wall too. On the off chance that you don't love arachnids you could always add a pair of googly eyes instead and have a mummy candle holder. I hope you like what you've seen and I'd love to see you stop by Chicken Scratch soon! Thank you Alecia! 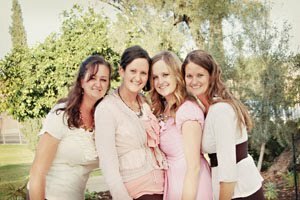 My kids will love to do this project! oh wow! i really like it :) and it's super easy too, i might give it a try! I would love it if you'd link this up to The Pinspiration Project!